We are pleased and honored that our Chief Judge is John Carlson and that our Honorary Chief Judge is Dr. Gerald Greenfield. Our Honorary Judges will be Dr. Paul Sable, Ed Gilbertson and Ms. Jackie Frady. Our team of professional and experienced judges will do their best to choose the vehicle that exemplifies the Best of Show during this event. Who will win the Inaugural Helene Award for Best of Show? John Carlson is serving his 19th year as President and CEO of the (NAACC) National Association of Automobile Clubs of Canada Corporation. 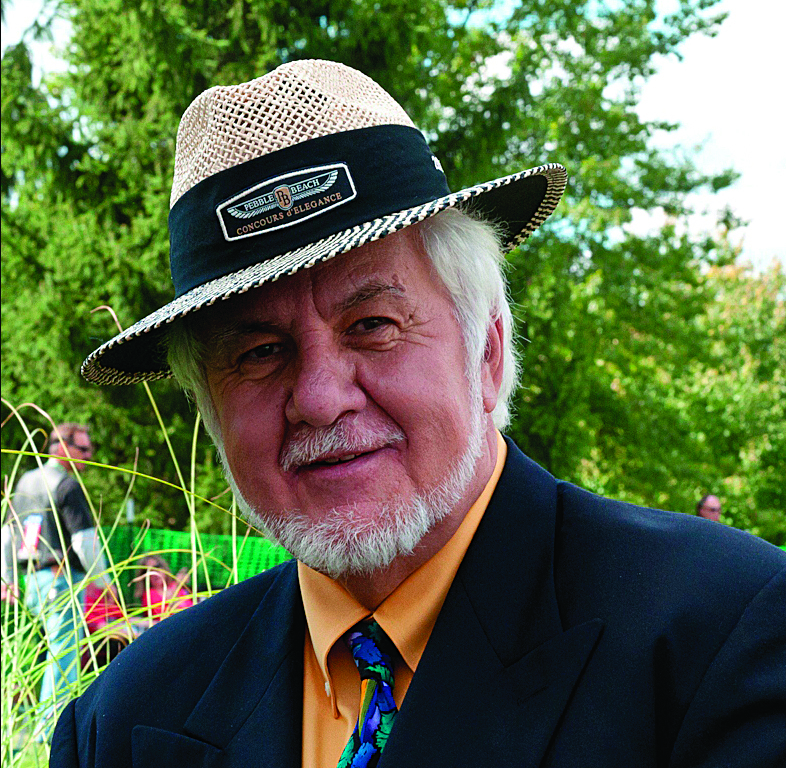 He is a Classic Car Club of America Master Judge and a past National President of the Vintage Car Club of Canada. He is a multi-decade member the Model A Ford Club of America, Early Ford V8 Club, British Columbia Hot Rod Association, Vintage Racing Club of BC and the Allard Owners Club. He has been a Chief Class Judge many times at the prestigious Pebble Beach Concours and has served for well over 20 years. He is a permanent Chief Judge at the Hilton Head Concours, Arizona Concours, Cobble Beach Concours, Crescent Beach Concours, Vintage Car Club of Canada and the NAACC. He serves on the Steering Committee for the LeMay America’s Car Museum. He is a Charter Member of the International Chief Judges Advisory Group. John Carlson has been inducted into three Motorsport Hall of Fames and was a recipient of the prestigious Lee Iacocca award in 2015. He is a retired Technology Education teacher and resides with his wife Koko of forty plus years in the seaside village of Belcarra British Columbia Canada. Gerald Greenfield has been involved in the Collector Car Hobby for over five decades. He is a Master Judge and Life Member in the Classic Car Club of America. He judges at five major Concours d’ Elegance events around the country and serves as an Honorary Head Judge at the Hilton Head Island Concours and Head Judge at the Pacific Northwest Concours. His favorite Collector Cars include a 1931 Model A Ford Deluxe Blindback Sedan, a 1941 Cadillac Deluxe Coupe, a 1951 Chevrolet Deluxe Styline Sedan, a 2001 Camaro Dale Earnhardt Intimidator, a 2011 Mercedes SLS AMG and a 2016 Corvette Stingray. Dr. Paul Sable is a retired University professor from Kutztown University in Pennsylvania. He is an automotive historian, author, collector and overall car enthusiast. Paul has been a chief judge at nearly every major Concours in the United States including the Hilton Head and Boca Raton Concours. He has been a Chief Class Judge at the Pebble Beach Concours many times. Paul collects hybrid cars of the 50’s such as Dual Ghia, Hudson Italia, Nash Healey and Facel Vega. He is a Ghia expert and is currently researching homemade cars of the 1950’s and early 60’s. He is part of the founding group and Chief Judge of the Elegance at Hershey. Paul is the Honorary Chief Judge at the prestigious Arizona Concours and the Cobble Beach Concours in Canada. Paul is a devoted family man and has a passion for gardening. He resides with his wife Diane and son Yuri in Jim Thorpe Pennsylvania. He is often referred to in Concours circles as the Renaissance Man. The Las Vegas Concours is proud to have him serve as an Honorary Judge. Ed Gilbertson is Chairman of the International Chief Judge Advisory Group (ICJAG) assisting over fifty shows across the world seeking to improve their judging. He is Chief Judge Emeritus for the Pebble Beach Concours d’Elegance, Palm Beach Cavallino Classic, and Ferrari Club of America. He is also founder and Chairman Emeritus of the International Advisory Council for the Preservation of the Ferrari Automobile (IAC/PFA), and is a senior adviser and committee member for the Federation Internationale Vehicules Anciens (FIVA) and the Historic Vehicle Association (HVA). He is also a member of the SAE Historic Vehicle Standards Committee. He was a contributing author for The Stewardship of Historically Important Automobiles, co-author for Ferrari Spyder California, and is a contributing editor for Cavallino magazine. Ed has three degrees and is a retired engineer and professional money manager. He is also a retired USAF reserve officer. entries shall have the field priority. Exhibit Only entrants may NOT be changed to Judged on the day of the show. Class judging will begin at 9:30am. Award presentations will begin at approximately 2:30pm. Exhibitors must be with their vehicle when judging takes place. Vehicle score sheets will not be returned. Entrants are advised to check their vehicles between 12:30pm and 1:30pm. A ribbon will be placed on vehicle windshields stating if the Entrant has won an award. Entrants should remain at their vehicle until directed to drive to the trophy presentation area. All Entrants must stay on the field until the Best of Show Trophy has been presented. No exceptions.